CentOS Clojure installation and sample tutorial. In the following post I’ll show how to install and configure Clojure on you CentOS box with sample web server example. Also,, weI’ll use leiningen for manage the Clojure app and http-kit for deployment. First, Clojure requires only Java 1.5 or greater, if you don’t have the JDK installed yet on your CentOS box please follow this instructions by ItekBlog writer – Adam to install Oracle Java on your CentOS box. Before you continue, check the Downloads page to install the latest version. Community volunteers maintain Getting Started documentation for a number of different tools and approaches. Leiningen is the easiest way to use Clojure. With a focus on project automation and declarative configuration, it gets out of your way and lets you focus on your code. you can read the tutorial by running lein help tutorial. The tutorial is the best place to start. It does not cover learning the language itself; good Clojure documentation can be found. Running lein help faq will get you the FAQ. Documentation for each individual task is available via lein help $TASK. You can also see the sample project.clj file containing a reference of most project settings by running lein help sample. template, which is intended for an application project rather than a library. Omitting the app argument will use the default template, which is suitable for libraries. Here you’ve got your project’s README.md file, .gitignore file for you all GIT users, a src/ directory containing the code, a test/ directory, and a project.clj file which describes your project to Leiningen. 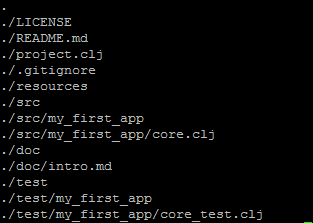 The src/my_stuff/core.clj file corresponds to the my-stuff.core namespace. For extended information and documentation about Leiningen and the REPL Read here. FAQ: Set LEIN_ROOT to disable this warning. 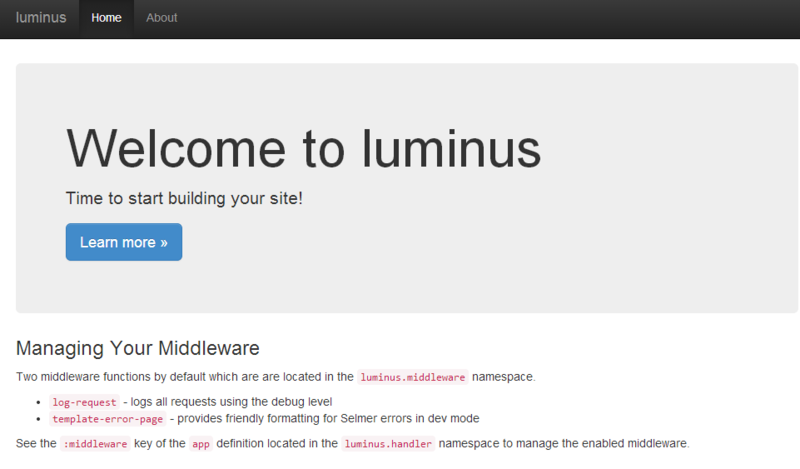 Luminus is a micro-framework based on a set of lightweight libraries. It aims to provide a robust, scalable, and easy to use platform. With Luminus you can focus on developing your app the way you want without any distractions. When you’re ready to deploy your app, you have many web servers such as: nginx, http-kit, immutant, tomcat, JBoss, Pallet, GlassFish, Jetty, Netty, Grizzly, etc. You can use nginx-clojure to run your clojure project inside of nginx server. 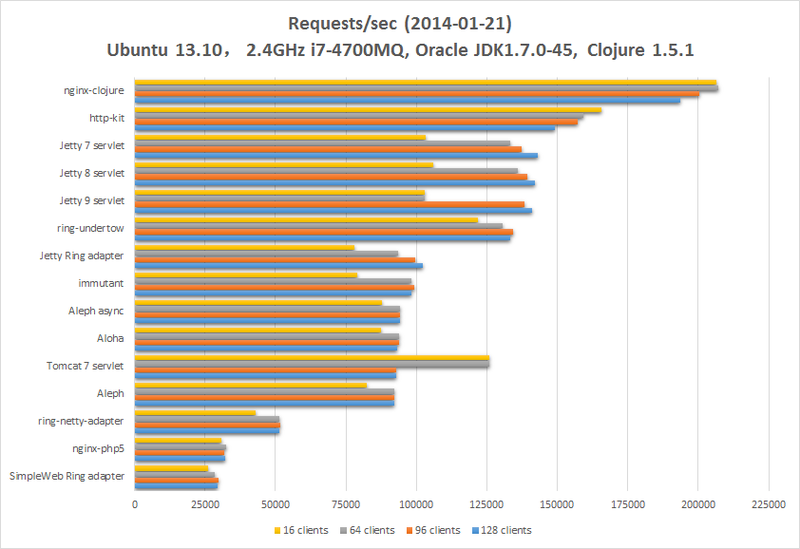 In Clojure web server benchmarks, this server achieved the highest performance. read this tutorial for more information about nginx/clojure implementation. To install Tomcat server follow those steps. Your app will now be avaliable at the context /myapp when Tomcat starts. To deploy the app at root context, simply copy it to webapp as ROOT.war. Check this great example of a websockets app with Clojure and http-kit. This entry was posted in Centos, Development, Linux/Unix and tagged CentOS, CentOS 6.x, Clojure, HTTP Kit, Lieningen on March 22, 2014 by Etay Cohen-Solal.